I’ve mentioned time and time again how much I love baking, especially around the holidays. It’s simply a “holiday-must” and I love finding even more excuses to do it this time of year. 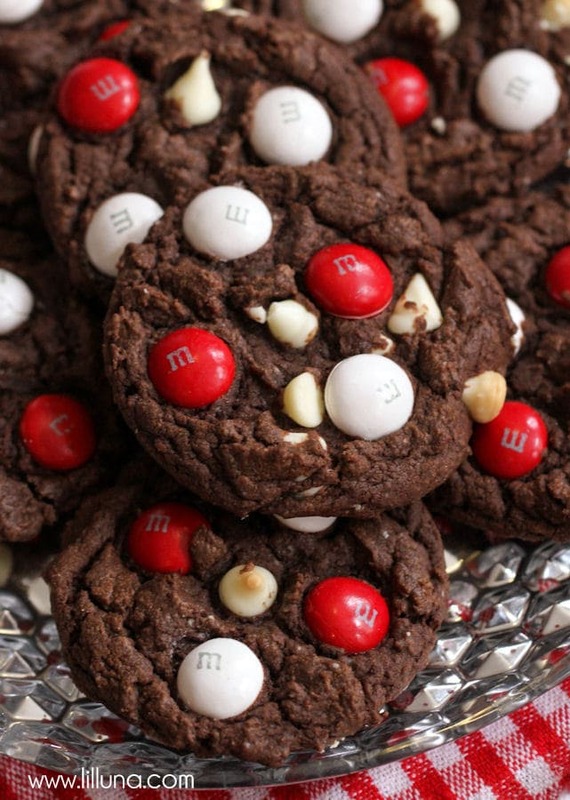 One of my favorite baking supplies that I use in my desserts are M&M’S®. I use them a TON, and they are a great and sweet ingredient that allow you to change up many recipes and make them even sweeter. 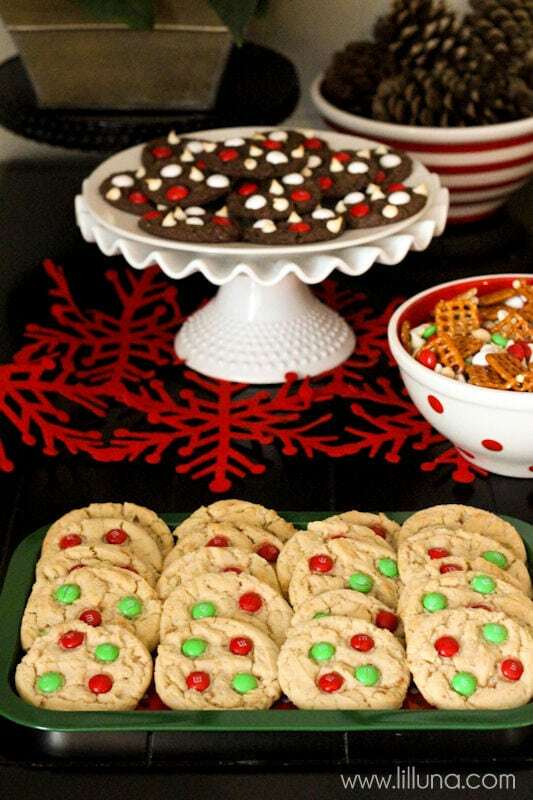 If you’ve been to the store recently I’m sure you have noticed that M&M’S® are available in holiday flavors and colors perfect for holiday baking! I know I’ve already used them in several recipes that I’ve shared with you in the past few weeks, and I’m doing it yet again today. I have tried ALL of these flavors, and LOVE them! 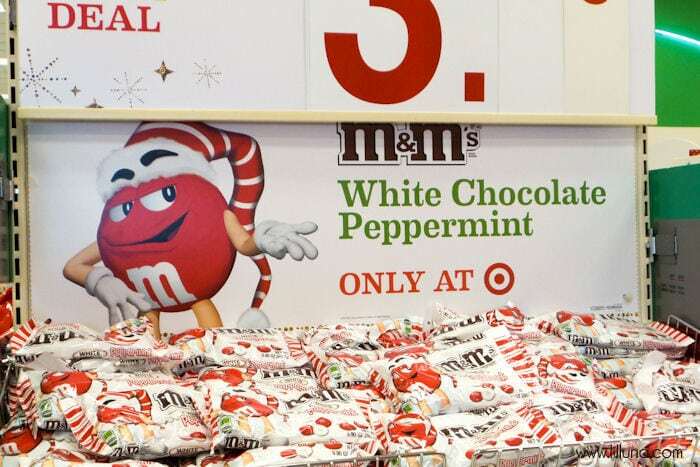 My favorite are the M&M’SM® White Chocolate Peppermint that are only available at Target. I used them in the recipe I’m sharing today, and I think you’ll love it. 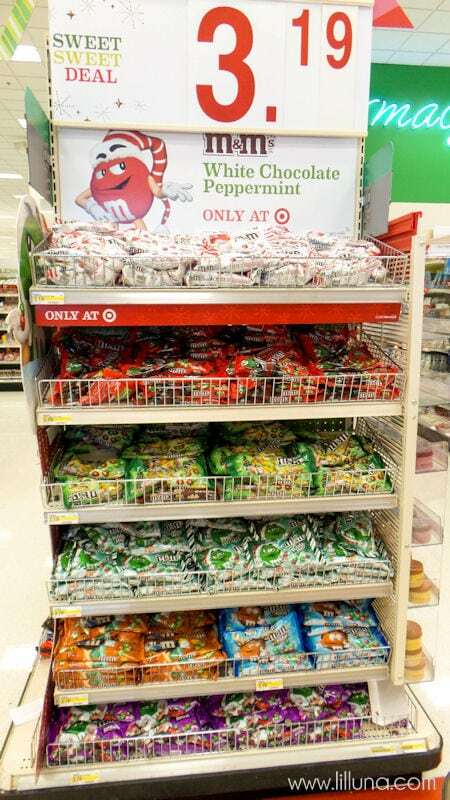 What’s great is right now you can find M&M’S Holiday recipes featured on the back of the Target exclusive Glad Holiday packaging. 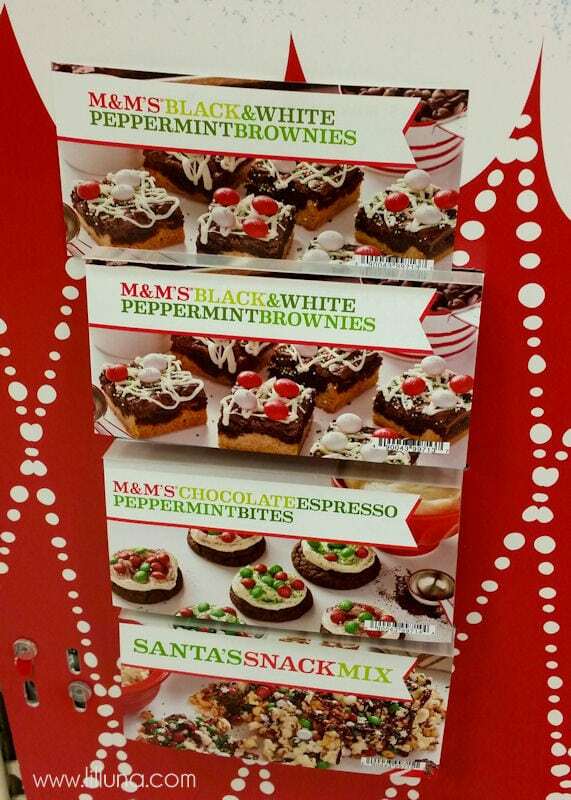 I even found more recipe ideas on the side of the M&M® display at Target, which can be easily grabbed and used for some more holiday baking. 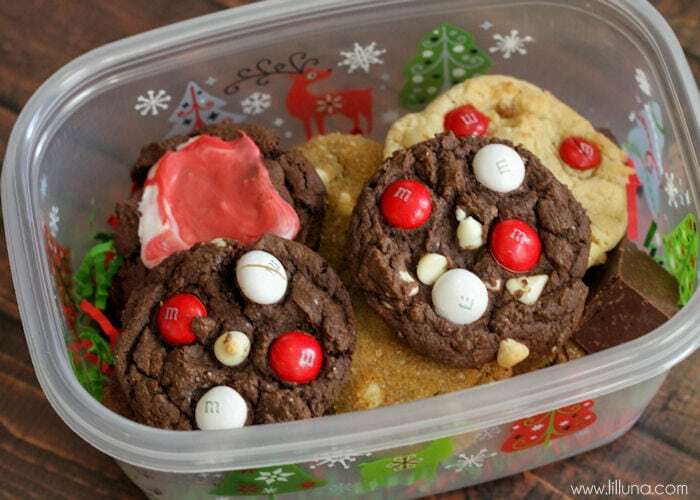 Recently, I grabbed a few recipe cards and bags of M&M’S® for some baking with friends and the littles for a Cookie Exchange. 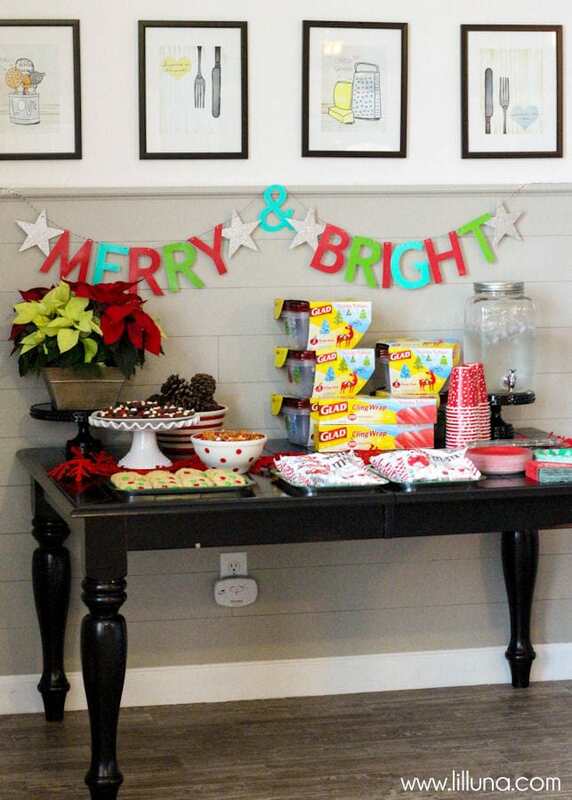 Last week, we invited friends over for some baking, snacking and socializing. 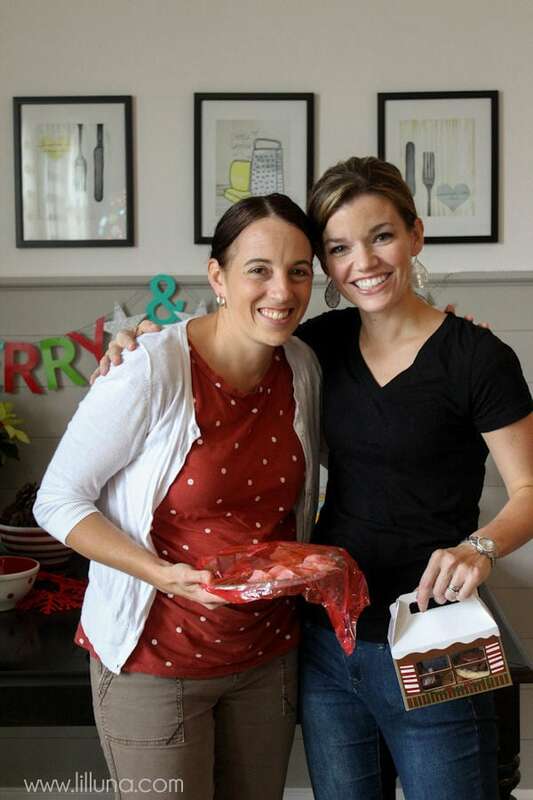 Everyone was responsible for bringing a few dozen treats that we would divvy up and package. This is something I did every year with my sisters and mom back in Arizona. I had to make sure the tradition continued here in Texas, and it was a blast! Everything was out and ready so everyone could package their own goodies for friends and neighbors. 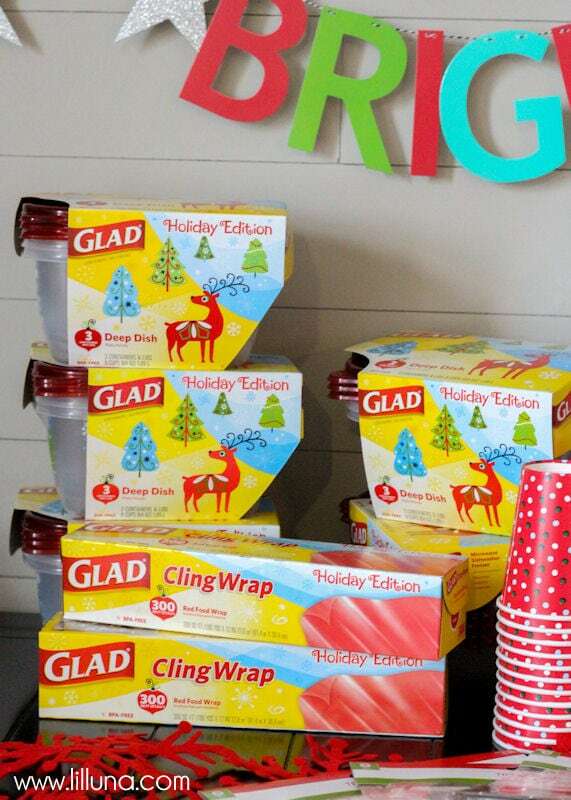 The GLAD Saran Wrap was perfect for the goodies on plates, and the GLAD dishes were great for quick, simple and cute packaging. I also wanted to make sure I shared with you the recipes I made for the Exchange. 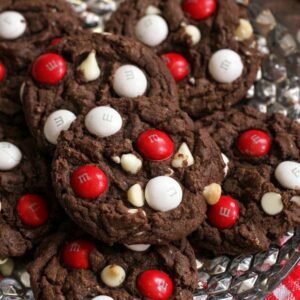 I tried a new one using the M&M’S White Chocolate Peppermint that were so stinking delicious. They also looked beautiful and festive too! 2. 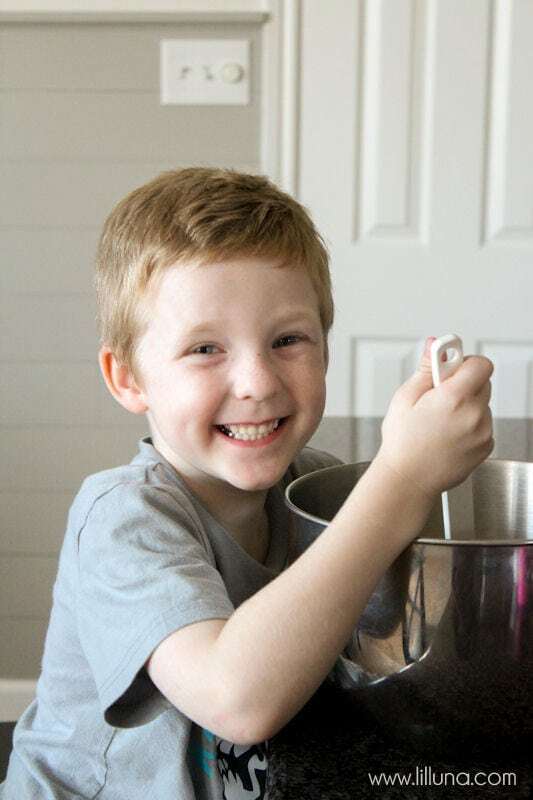 In a large bowl, combine cake mix, egg, butter, and Hershey’s syrup. Mix on low speed until it is combined well. 3. 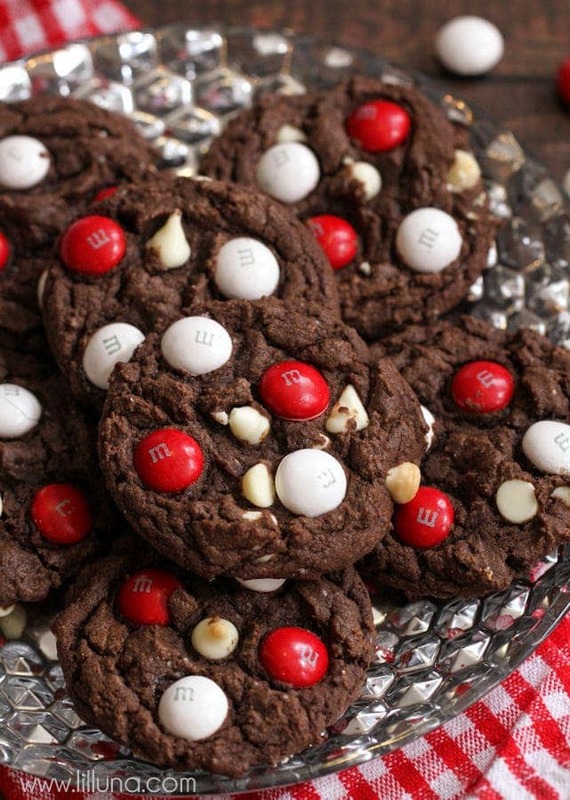 Fold in chocolate chips and ¾ cup M&Ms. 4. We used our cookie scoop and placed them onto a greased cookie sheet. We added more M&Ms to the top. In a large bowl, combine cake mix, egg, butter, and Hershey's syrup. Mix on low speed until it is combined well. 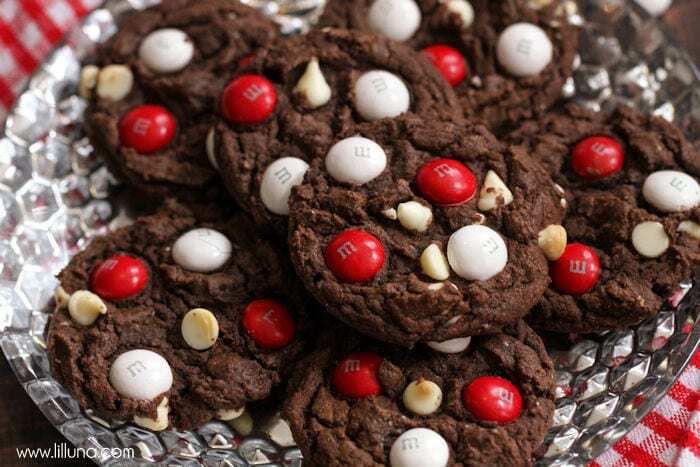 Fold in chocolate chips and 3/4 cup M&Ms. We used our cookie scoop and placed them onto a greased cookie sheet. We added more M&Ms to the top. 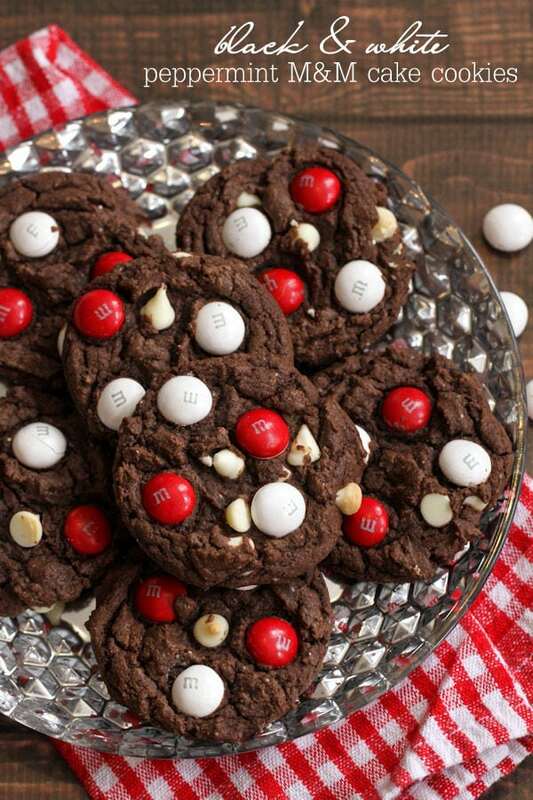 I’m telling you friends – these Black and White Chocolate Peppermint M&M Cake Cookies are amazing!! It’s the double the chocolate and double the goodness for these sweet treats!! Be sure to head to your local Target for the GLAD packaging and M&M’S. 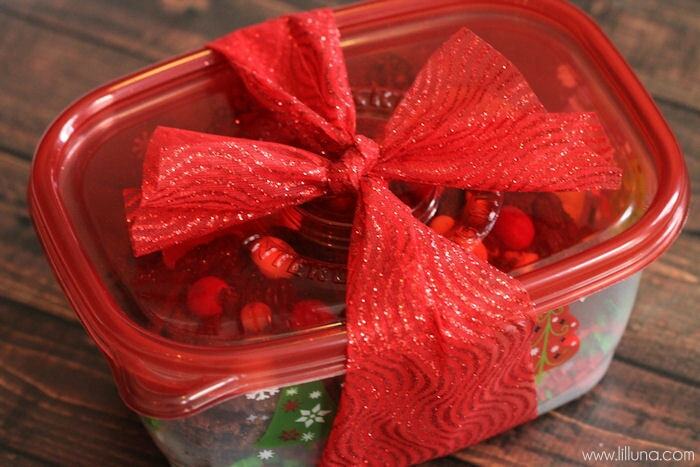 They’ll make holiday baking easier and yummier this Christmas season! Yummy! 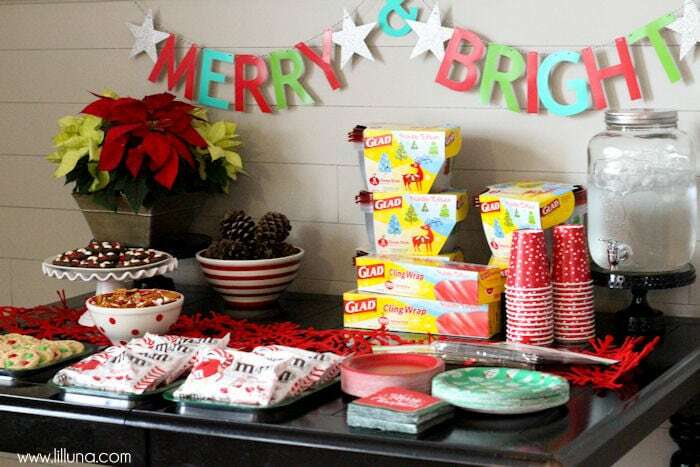 These cookies look so festive and so fun! 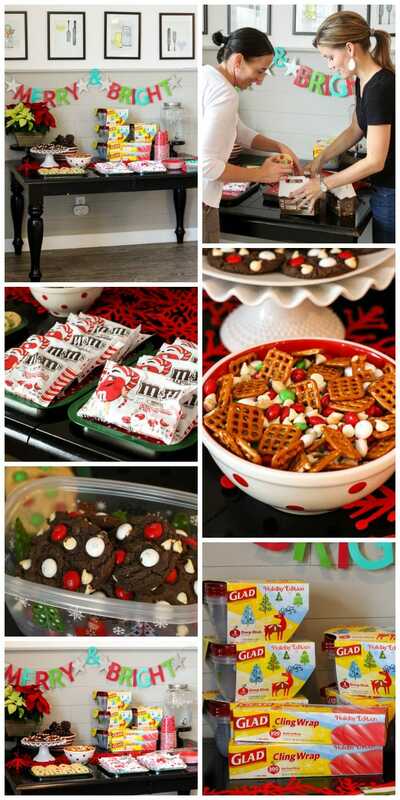 I can’t wait to make them with my kiddos on their Christmas break! Thanks for sharing. PINNED! Thanks, Michelle!! Hope you have a Merry Christmas!! 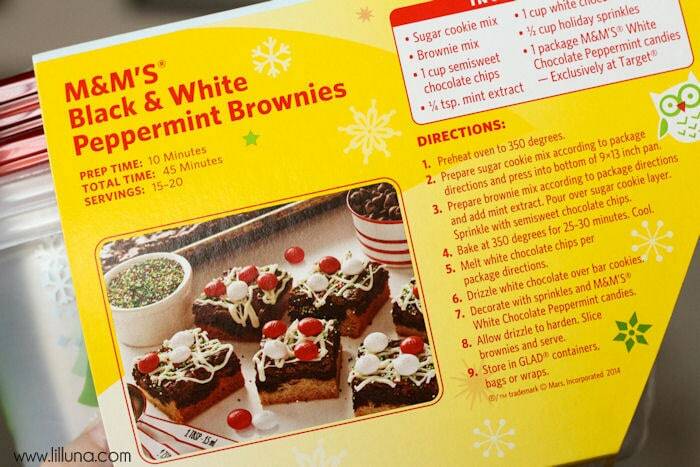 I’ve made your version of these without the peppermint before (multiple times) and they were always phenomenal. 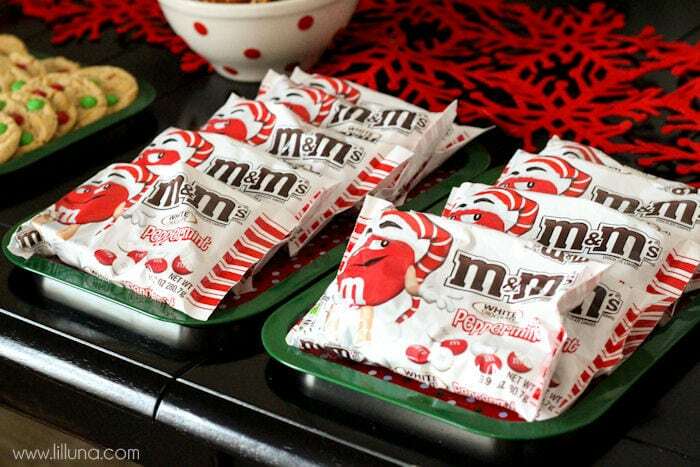 Next time I see peppermint M&M’s I’ll be sure to toss them in!